High-tech sealant: gives lasting protection to new surfaces such as gel coat, paint, stainless steel, plastic, aluminium, glass or PVC by forming an extremely hard protective layer. Simple and quick to apply. Long-term protection with easy-clean surface, water-repellent and salt water resis-tant. Contains no silicone or abrasives. 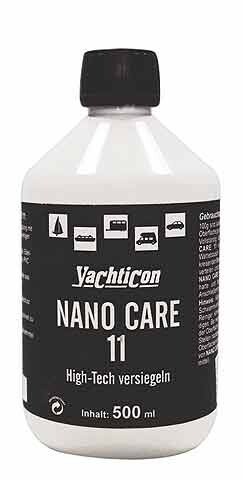 Weiterführende Links zu "Nano Care 11"